Fantastic, MOVE IN READY single level home in golf course community! 4 bed (plus office)/2 bath single level home sits on oversized CUL-DE-SAC LOT. 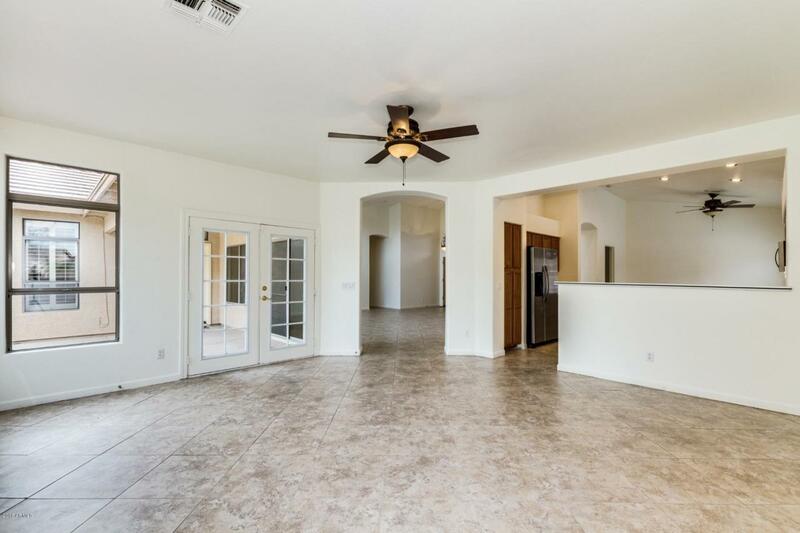 Bright, open floor plan w/ beautiful tile flooring & plantation shutters in all the right places. 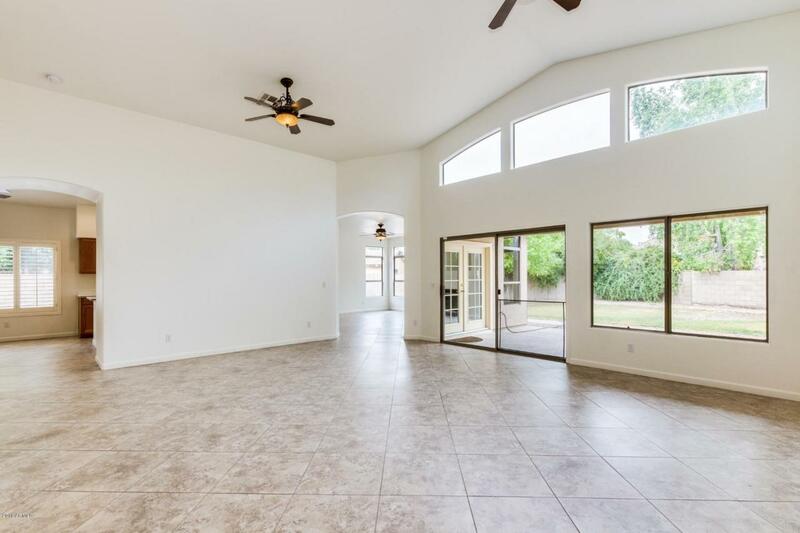 Open kitchen w/ vaulted ceilings offers SS appliances (including gas stove & new dishwasher) & plenty of cabinet & counter space, including an island perfect for prep or serving. 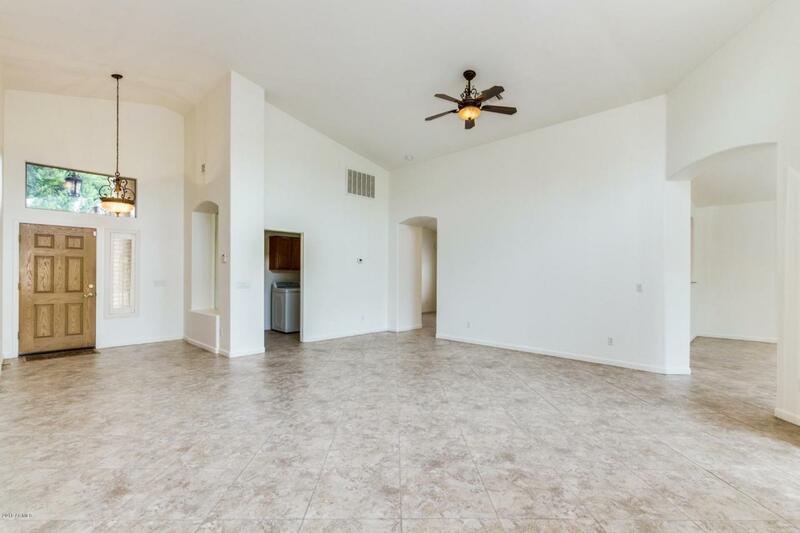 Large family room w/ gas fireplace. 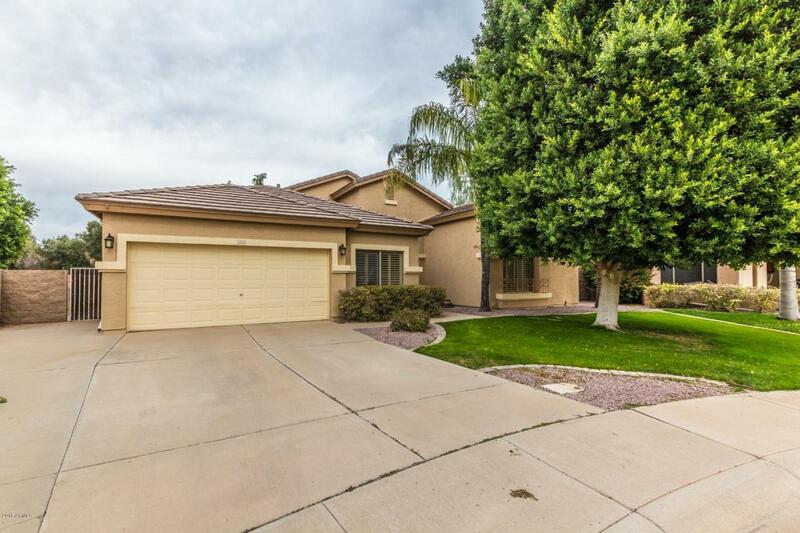 Spacious master has private door to back patio & master bath w/ dual sinks, large soaking tub, glass shower & private toilet, as well as walk-in closet. 2nd bathroom also has dual sinks. NEW AC (1016) is a plus! Huge backyard has covered patio, lush grassy area, mature shade trees & curbing. Listing courtesy of Rachael Richards Realty.